Feng Shui master or old beggar - or both? 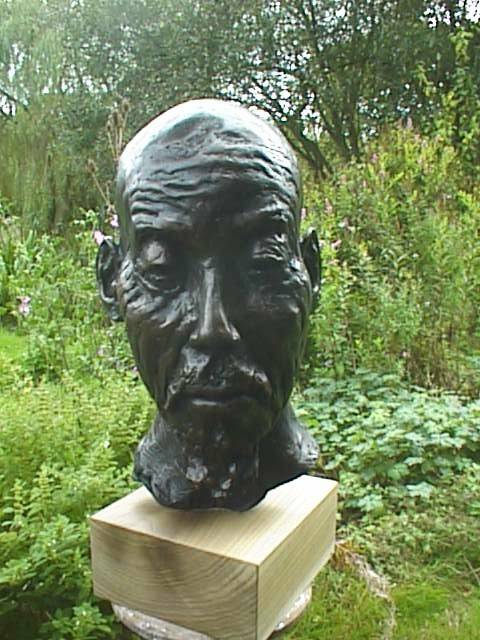 Here is an example of a larger than lifesize bust created by award-winning portrait sculptor Laury Dizengremel: available for purchase in bronze, bronze resin or as a concrete sculpture suitable for gardens. The heroic size of this bust is more suitable for outdoor spaces, where a lifesize bust might feel a bit lost in space. Click here for a description of Working Methods: How to Commission a Bust. For the prospective private art collector, corporate art buyer, urban planner or public art coordinator we offer options to create busts as originals only or as limited edition sculptures. We offer online sculpture gallery prices to all buyers who make an enquiry via the website.